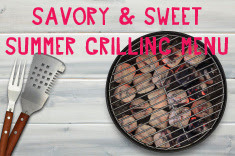 Memorial Day marks the beginning of the grilling season and it is the perfect time for entertaining. Gathering family and friends for an evening of fellowship and food is the fun part. Deciding what to serve can be the challenge. Choosing some make-ahead recipes along with a quick, healthy grilled entrée gives the host the chance to enjoy the party and time with the guests. Fresh foods enhanced with flavors from Nielsen-Massey Vanillas punch up sweet and savory recipes and lend your dishes depth and flair. So, send out those invitations and fire up the grill. The Memorial Day menu is set and it is time to celebrate the season. Easy, elegant entertaining starts with a mouth-watering menu filled with traditional summer-time flavors that can easily be assembled and served. Let the summer fun begin! Savory red, white and bleu appetizers play out the patriotic theme of the Memorial holiday and offer a tasty morsel to guests. "Nielsen-Massey's Pure Lemon Extract complements just about any dish," says Beth Nielsen, Chief Culinary Officer at Nielsen-Massey. "It is the perfect partner with herbs such as garlic and parsley. Using pure flavors saves time but does not compromise taste." Combine the wine and shallots in a small bowl. Let stand. 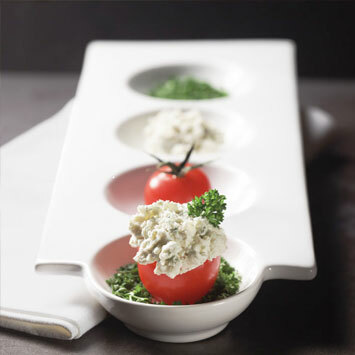 Combine the cream cheese, garlic, lemon extract, white pepper, cayenne pepper and shallot mixture in a mixing bowl. Beat until well blended using an electric mixer. Fold in the bleu cheese with a wooden spoon. Cover and chill. Rinse the cherry tomatoes. Remove the tops by slicing a small amount off each tomato. Scoop out the seeds with a small measuring spoon. Cut a small slice off the bottom of each tomato so it will stand upright when plated. Fill each tomato with ½ tablespoon of the chilled Lemon-Bleu Stuffing using a pastry bag or spoon. 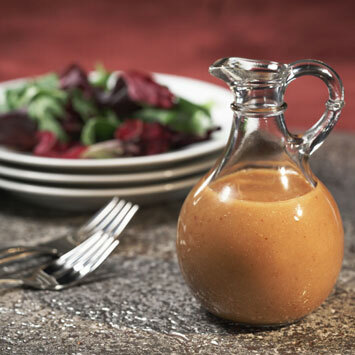 Nielsen-Massey Madagascar Bourbon Pure Vanilla Extract adds depth of flavor to this five-ingredient dressing, perfect on fresh baby salad greens. Left over dressing can double as a marinade for chicken, fish, pork or vegetables. Whisk all ingredients together in a small bowl. To serve, toss baby greens in a large bowl with ¼ cup of the vinaigrette to coat the leaves. Makes ¾ cup. 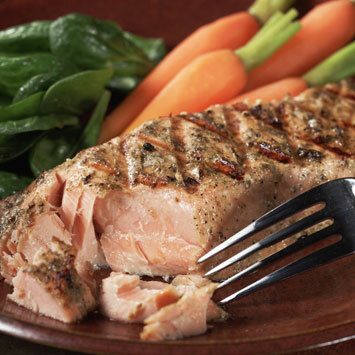 In just 12 quick minutes, family and friends will enjoy a grilled-to-perfection salmon filet. This flavorful fish is complimented by the sweet and savory herb infused marinade. For the marinade, combine the olive oil, shallot, parsley, basil, brown sugar, Worcestershire sauce, balsamic vinegar, Dijon mustard and vanilla paste into a blender container and puree. Pour evenly into two containers and set one container aside. For the salmon, preheat the grill. Brush each fillet with canola oil and season with salt and pepper. Brush the tops of the fillets with the marinade, discarding any remaining marinade. Place the fillets marinated side down on a grill rack over direct heat. Grill for 6 to 8 minutes or until dark grill marks appear and the marinade begins to caramelize. Turn the fillets and grill for 3 to 4 minutes longer. Serve with the reserved marinade. Serves 8.